From the Vault: Events Celebrate Territorial Arkansas! and Territorial Arkansas Living History Fest. Both events are free! 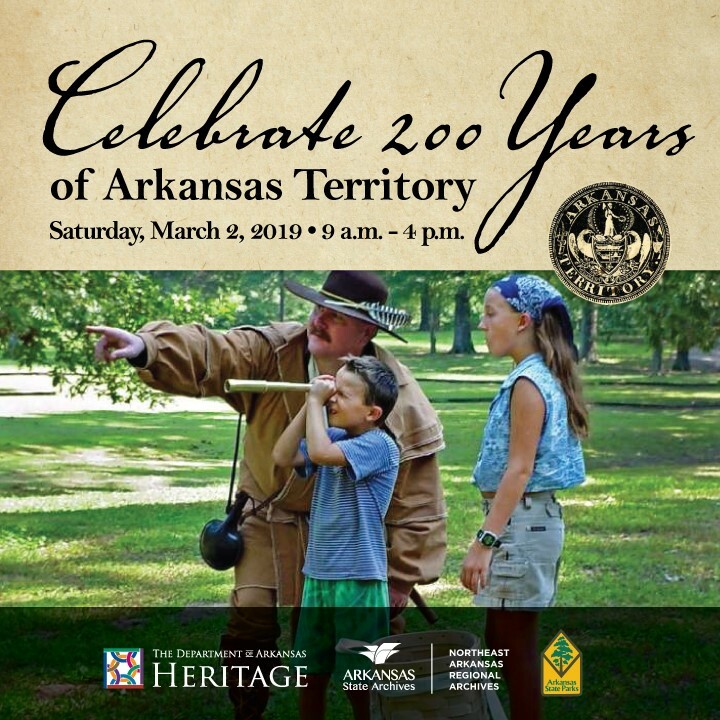 We've teamed up with the Davidsonville Historic State Park to hold two free events to celebrate the 200th anniversary of Territorial Arkansas! On March 1, teachers and students are welcome to explore the historic state park 9 a.m. to 2 p.m. during Territorial Arkansas Living History School Day! The event will let students explore the town of Davidsonville as it would have been during its heyday. Students can make candles, throw tomahawks and try carpentry, brickmaking and quill writing. They also can visit the historic tavern, play cards at the public house and talk with an innkeeper. Speakers dressed in period clothing will present information on how people lived and thought 200 years ago. On March 2, the public is invited to join the fun! The Territorial Arkansas Living History Fest is free and will include historic games, activities and history. Food and merchandise will be available for purchase during the event. The U.S. Congress created the Arkansas Territory on March 2, 1819. Davidsonville, which was established in 1815, had Arkansas’s first post office. Archeological excavations are still uncovering streets, foundations and other artifacts. The park features a new visitor center with an 1820s hunter-trapper float-boat, audio tour and display of historic finds from the archeological digs. Contact the park interpreter at 870-892-4708 to register a class for the school-day event. Space is limited so register as soon as possible. For more information about our Living History Fest, call the park or email davidsonville@arkansas.gov or visit us on Facebook. These events are presented by the Arkansas State Archives and Arkansas State Parks and supported, in part, by a grant from the Arkansas Humanities Council and the National Endowment for the Humanities.